Joedis (Joe) Ávila has a career that spans corporate social responsibility, international business, multicultural marketing, and supply chain. 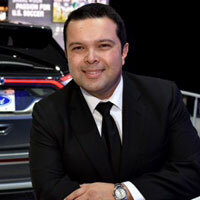 As manager at Ford Motor Company Fund, he directs and oversees Ford’s strategic partnerships with key organizations and corporate initiatives on a national and local level. He also manages Hispanic strategic investments nationally and the expansion of international signature programs throughout Latin America and the Caribbean. Prior to joining Ford, Ávila worked at MillerCoors, Molson Coors and Coors Brewing Company where he was the multicultural relations, corporate social responsibility and marketing program manager. Ávila was also instrumental in building the global procurement strategy during Molson Coors merger. Ávila serves on the board of directors at the Smithsonian Latino Center, Congressional Hispanic Leadership Institute (CHLI) and SER Jobs for Progress National. He is also a corporate board advisor for national Hispanic organizations, including the Congressional Hispanic Caucus Institute (CHCI) and UnidosUS. Additionally, he serves as Chair of CNC’s Corporate Board Advisors and was recently elected as the LULAC Corporate Alliance Chairman. In 2008, Ávila received the Young Hispanic Corporate Achiever Award for Hispanics under 40 by the Hispanic Association on Corporate Responsibility (HACR), and is part of its Corporate Executive Forum.